Measures: 6.5" x 3.75" x 0.25" - 'Personal Information' page '2019' calendar 'Holidays & Important Dates' 2019 page 'Toll Free numbers for Car Rentals, Hotels and Airlines' 'Frequently Called Numbers' 'Address & Phone Numbers' 'Notes"
This POCKET SIZE style WEEKLY Planner provides several helpful ways to stay organized, prepared, and proactive! 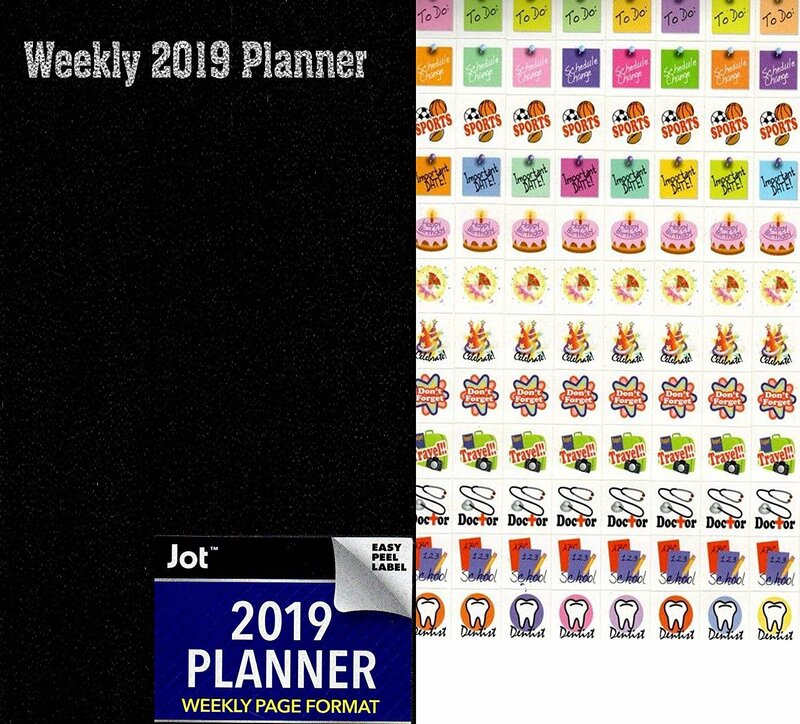 Excellent for Scheduling Appointments, Organizing Your Schedule & Meetings, Recording Events, Birthdays, Holidays, Anniversaries, Etc..... *Keep your busy life organized with this 2019 Weekly Page Format Planner. *Simple, Thin, Easy to Read & Use, Softcover, Vinyl, Wipe-able.